After assaulting a German girl called Gerda, Private Pendlebury (Michael Robbins) crosses over into East Germany. He may not be prime defector material, but he’s still made welcome. Back in the West, Mann is confronted by Pendlebury’s distraught wife. She pleads with Mann to retrieve her husband …. There’s one really clever thing about A Town Called Love, although I have to confess that until the credits rolled I’d completely forgotten about it. Gwendolyn Watts plays two roles – Gerda (Pendlebury’s German girlfriend) and Vera (Pendlebury’s wife). Gerda is blonde whilst Vera is a brunette. This simple act of changing hairstyles obviously helped to create the illusion that they were two different people. Or maybe I was just distracted by Gerda’s transparent negligee …..
There’s no particular reason why the two parts should have been played by the same actress, but it offered Watts a more than decent showcase for her talents. Gerda – who possibly is seeking to entrap the unwary Pendlebury into criminal activity – is the less well defined of the two, but Vera is gifted several strong scenes. Alternating between vulnerability and calculation, she’s able to appeal to the kind-hearted Mann, who then risks his own safety by crossing over the wall in an attempt to bring Pendlebury back. Once again, there’s so much quality in the cast. Michael Robbins, best known for playing the long-suffering Arthur in On The Buses, is equally long-suffering here. Pendlebury is a straightforward sort of chap – after his altercation with Gerda (he says she slipped and hit her head) he hot-foots it over to the East. But he finds life to be no better there than it was in the West, so he’s easily persuaded by Mann to return and take his punishment. But there’s a nasty sting in the tale for him when he does come back. 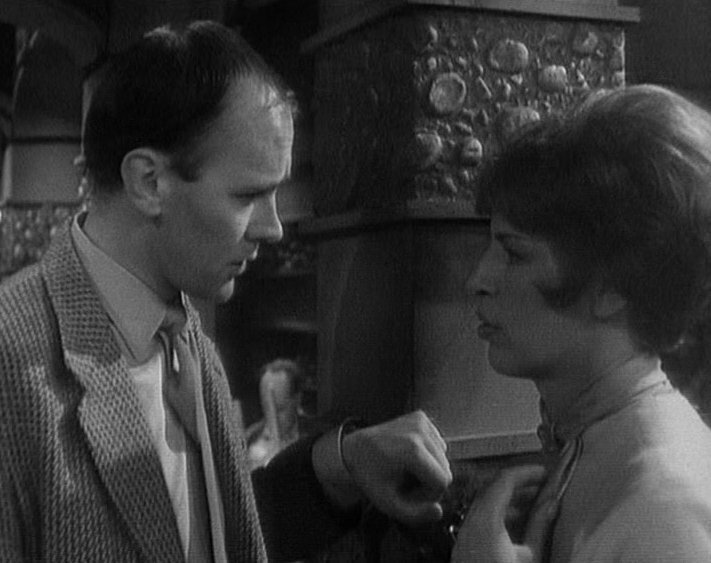 Magda (Yootha Joyce) and Bob McGregor (Garfield Morgan) are both very welcoming to all new defectors, but only because it’s their job. Morgan’s plummy good-cheer and Joyce’s sultry seductiveness both have a very hollow feel, but then I doubt that either Pendlebury or Mann were taken in by them. 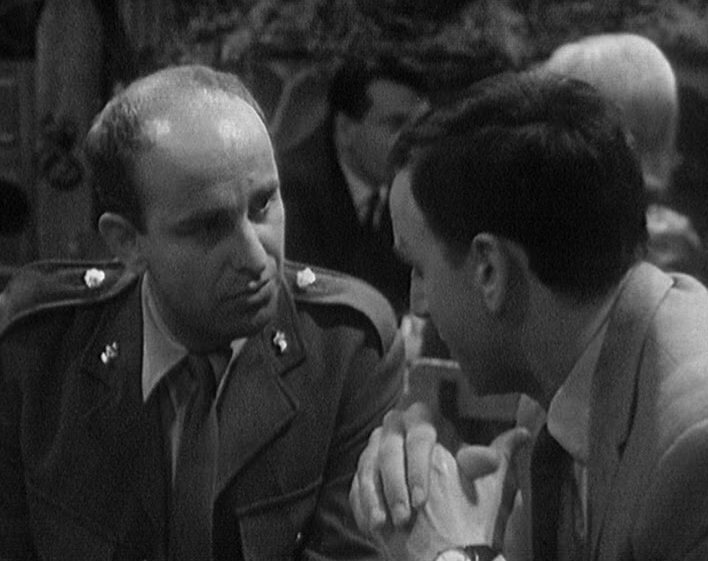 There’s a cold opening to this episode, as Mann’s now changed location and seems to have a permanent base, operating with Sergeant Coulter (Glynn Edwards) and Colonel Matherson (Peter Copley). Neither appear again though, so this posting presumably was only temporary. That’s a pity, as both characters had scope for future development – Coulter’s friendly opposition with Mann (they have very different opinions about Pendlebury) and Matherson’s avuncular but steely command style could easily have been examined in more depth across a series of episodes. Not quite as gripping as the first episode, possibly because there’s the sense that Mann isn’t going to remain in the East for very long (it would have been a short series had he done so) there’s still enough character conflict to keep things ticking along nicely.